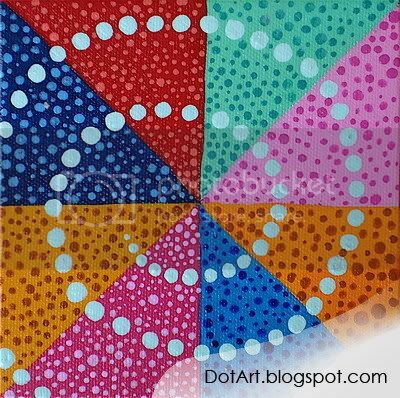 DotArt is about dots that flicker, dance, move, pulsate and so on……. 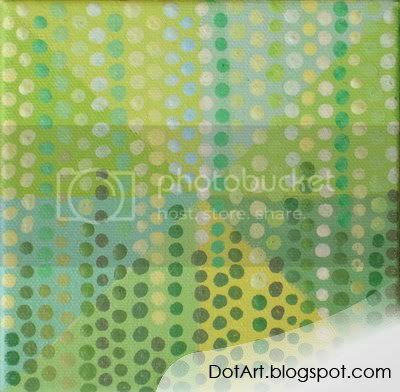 The artist called himself as: Dot Art Dude, all the way come from Metairie, Louisiana, United States. His unusual art is something that I want to learn more from him. He is also a good friend of mine that I know from Blog Catalog. If you visit Dot Art Dude’s Blog Catalog profile, you will see that he runs long listing of multiple blogs beside DotArt Blogspot, which you can join them as blog neighborhood if you are already become a Blog Catalog member. I am a 43-year-old artist who generates ideas faster than I can produce them. Besides drawing and painting, I also enjoy working in photography and video. My other interests include: Apple Macintosh, education, film, music, politics, psychology, science, sociology, technology, theater, writing and wit. 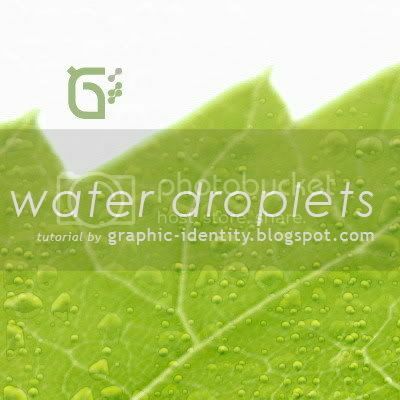 It’s been quite a while since my last Photoshop Tutorial guys :), anyway I spent my long holiday to write another tutorial, which is how to create water droplets in Photoshop. I also included the photoshop action to create this water droplets effect, and there are two kinds of action for creating: bigger water droplets and the smaller one. This tutorial is very easy for photoshop beginners, but actually there are also another ways of technique to create water droplets using Photoshop. The problem is sometime the water droplets won’t appear to be natural or realistic on the first attempt of applying some filter effect. Filter effects are would likely produce uniform artificially look of water droplets on an object surface. Therefore, as usual...you need to do the retouch to finish this effect. When it comes to do the illustration or design search for your inspiration, sometimes search engines just provides you enormous list. But I wonder if any of you know that some of Blogspot Bloggers are actually dedicated their time to build interesting design showcase for your eyes! Such of hidden treasures I found for this lovely weekend. Poerty is the author, and used to write his blog "Photoshop Heaven" in German, but I believe you can now read the posts in English also. 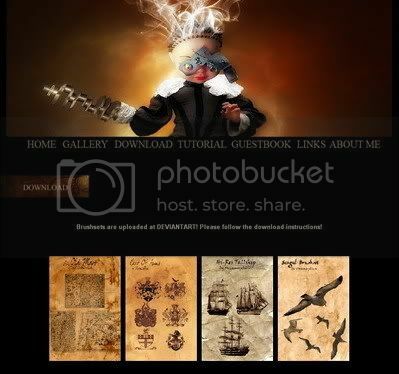 Started in June 2007, Poerty presents you short reviews on some photoshop designs of another artist and his own artworks. Wonderfully sorted of digital imaging designs and breathtaking photos edited by profesional Photoshop artist. Do you want your Blogspot Design Showcase being reviewed here also? Your blog has to be graphic design or visual art related (paintings, graffiti art, urban art, photography, web design, manga drawings etc.) that contain listing of another designers project or even your own gallery portfolios. Highly updated, and each post has one or couple lines of review ;). Your blog must be new or classic Blogspot Blogger. All blog will be checked before accepted and published. If your blog fits the criterion, you will get a notification via email. Just contact me if you're interested, and don't forget to include your: blog description, author bio, and screenshot to my email at: kukuhumi [at] gmail [dot] com :p.
Graphic Identity is PR 3, so if your blog is quite new, you can have the link love from my blog to help increasing your blog page rank. I’m coming back now with another 3 sets of corner design photoshop brushes. These brushes have swirly curls, two of them are foliage style and the other one is kindda psychedelic to me. The shapes were designed in half parts that consist alone as photoshop brushes, so it would be easier for you to customize them. Make a copy in a new layer and create the reflection of them by rotating and flipping, and then you can find interesting corner design ;). The result of these photoshop brushes reflection effect could be various, so I suggest you to give a bit of try. 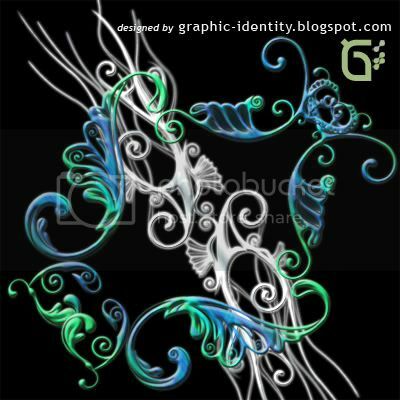 If you are a new visitor to my blog, I suggest you to read my previous post, ( Corner Design Photoshop Brushes – Part 1 ). Each of brush is categorized as medium in size (1223px – 1329px). I would like to remind you that all of my 'Free Design Box' files are FREE (for personal or commercial use). But after I found that my previous Photoshop brushes set were hijacked by someone else, please read this: Legal Usage to employ Graphic Identity's 'Free Design Box' files. If you like my Photoshop Brushes please give comment before you download them because I will appreciate any feedback from you. Don't miss out to download my next photoshop brushes series by subscribing to my feed! I love your feedback, and that’s why these free design box files now has a plain .ABR file to download directly…I also included compressed .ZIP file instead of .RAR. file so you can unzip the smaller size file or extract the file later if you need it. (You must have WinZIP or WinRAR software installed to your computer for that). Some of you probably don't know how to install brush set, and for that reason I have a quick tutorial: How to Install Photoshop Brush Set. Diana, has a very interesting blog, titled : "My lucky number 13". It's a A blog about her life experiences including personal matters and professional career. Recently, her personal blog is also nominated to win Blogger Choice Awards in Best Blog About Stuff category. 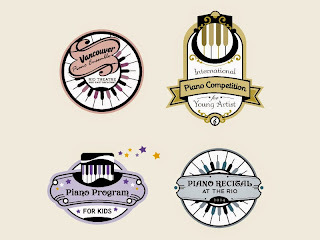 The contest has started until 13 December. On 14 December Diana will announce the winner and she’ll write a post with link love for all the participants and the method you have choose to enter this contest. Besides the grand prize, all the participants will be rewarded with a link love. Everyone can win the contest, if you become the winner, $100 prize will be paid via PayPal. Start your entry today and subscribe to My Lucky Number 13 blog now! I always fascinate to abstract paintings. I found sort of well mixed medium of abstract paintings collection of Collin James De Ruyck , and I'm also amazed how he lined up the geometric shape and colors to create 3D texture effect. I should call it: "Decorative Abstract Paintings"
Somehow each of them can be part as an interior decoration. 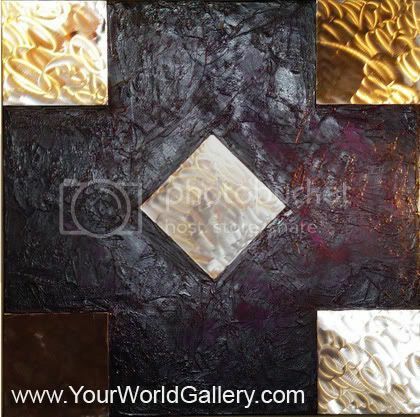 His abstract art works are able to bring a boring plan room to a very exciting room filed with great colors and style. Here a short conversation about his artworks that might give you a clue about his paintings ;). When did you first start painting? I first started painting in 2003. It was after my x wife moved out and took all the furniture and I had nothing to look at buy bare walls. I was talking with a friend of mine who pushed my to start painting as he told me what I was looking for from art did not really exist, which is the style I currently use. Who and what were some early influences? Like I said in the last question, it was a good friend of mine named Rohn who helped me get started at a very tough time in my life.